10 Van Halen facts, some you might know, some you might not…in no particular order. Eddie and Alex Van Halen’s dad was a professional musician and played clarinet on the song “Big Bad Bill is Sweet William Now,” from the Diver Down album. Drummer Alex originally started on guitar and when he was gone his little brother Eddie would play it. In their early days the band had a contract rider that specified there was to be M&M’s in their dressing room, but there was to be no brown M&M’s. Eddie Van Halen played the guitar solo on Michael Jackson’s “Beat It,” on his mega hit album Thriller. In the early years Van Halen toured as the opening act for Black Sabbath and to the dismay of Ozzy and the rest of the band rabid Van Halen fans booed Sabbath off the stage. 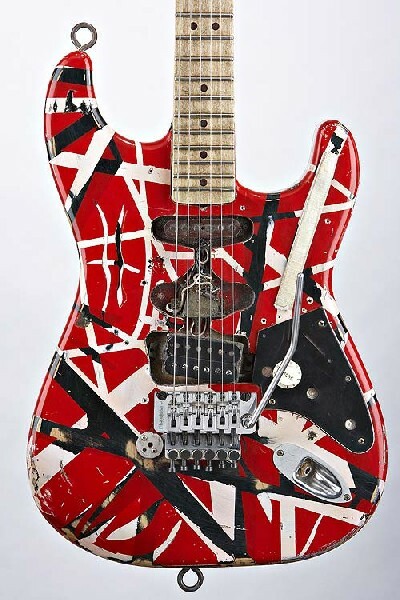 Eddie’s signature guitar of the 80’s was named ‘Frankenstein’ due to it being pieced together or ‘created’ in his lab. Also used as the cover art for their 2004 greatest hits CD, Best of Both Worlds. Before the band was discovered, Eddie used to turn away from the crowd when performing his trademark right hand tapping technique to keep others from figuring out how he was making those sounds. 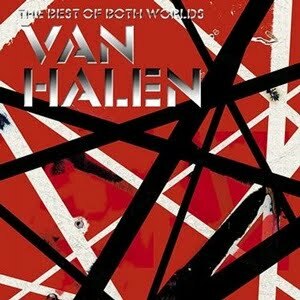 The Van Halen boys grew up in Pasadena but were actually born in the Netherlands. “Hang ‘Em High,” from Diver Down was influenced by the Clint Eastwood movie of the same name. ← Beware of the Pick Gremlins!